Jason and I have been thinking about planning a boozy kind of trip exploring vineyards, hiking and drinking. Instead of just going to Napa Valley we decided to find out from other travel bloggers what their favourite wine trails are and we were not disappointed! You may want to take notes here, we’ve already started planning trips to a couple of these spots! British Columbia’s Okagnagan Valley is home to some of the best wine in Canada. BC’s interior where the Okanagan Valley is has fairly mild temperatures and it’s dry too which makes it great for growing grapes. There are SO many vineyards in this area of BC (about 40 within 20 minutes’ drive of each other to be precise). Those exploring the wine trails of the Okanagan Valley are truly spoilt for choice. It’s best to base yourself in one area in particular. For the Fab 5 wine trail I’d recommend staying in Kelowna rather than Penticton of West Kelowna. The Okanagan is home to all varieties of wine but some of the most common are Riesling, Pinot Gris and Pinot Noir. There’s also some cider, craft beer in downtown Kelowna, and some Mead to try too. The Fab 5 wine trail is on Kelowna’s south eastern bench and features some of Kelowna’s best wineries. 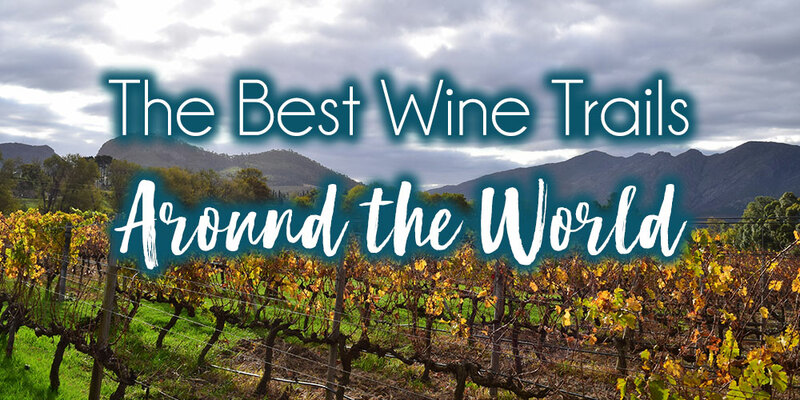 There are actually more than 5 vineyards to visit here and two on the list below, Kitsch, aren’t officially part of the Fab 5 but they’re too good not to visit if you’re in the area! Kelowna’s Fab 5 is made up of the following vineyards: House of Rose Winery,The Vibrant Vine, SpearHead Winery, The View Winery & Ward’s Cidery and Sperling Vineyards. The additional ones in the area that I’d recommend are Kitsch and Meadow Vista Honey Wines. You’ll be able to taste a variety of wines with these Fab 5 but it’s more white wine than red. Even though this is a wine trail, make sure you don’t miss out on the cider at Ward’s Cidery. It’s absolutely delicious! 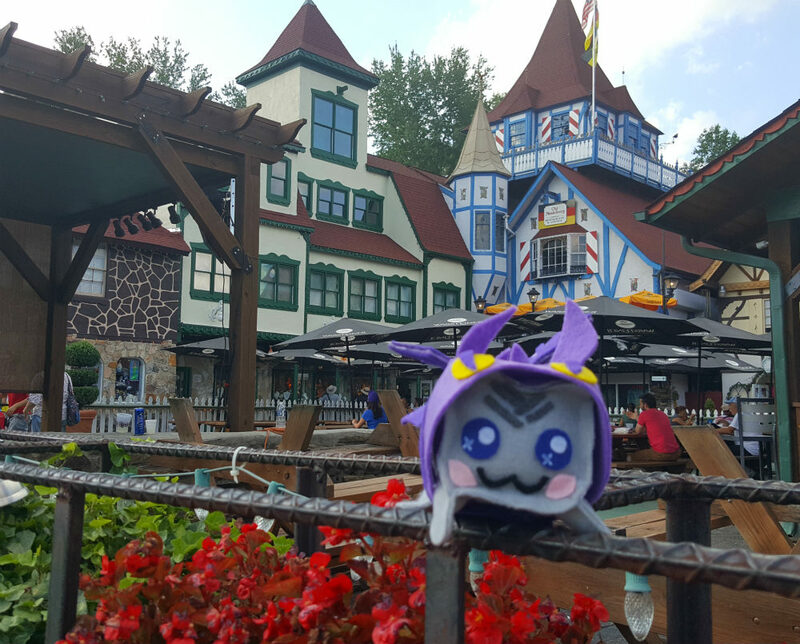 Kitsch has an absolutely incredible view. From where you do the tasting you’ll have views of some of the vineyards (all of which are on site) and straight down into downtown Kelowna, the lake and the hills on the other side. The others also have very picturesque outdoor areas and Sperling Vineyard has a little area of vines you’re allowed to walk through. If you’re touring the Fab 5 over lunch then stop in at Meadow Vista Honey Wines as they have a great farm to table bistro. The bistro uses fresh vegetables from their garden around the back of the tasting room and you can also see the bees which produce the honey for their mead! On the Fab 5 wine tour in Kelowna you will need to pay for tastings. For these vineyards prices range from $2-$10. However, if you decide to buy a bottle you’ll get that tasting fee put towards the price of the bottle. It’s easiest to drive between these vineyards so make sure you’ve got a designated driver! By: Hannah from That Adventurer. Read more here, and follow her on instagram here. The Finger Lakes Wine Region in central New York State gets its name from a set of 11 long and skinny lakes that resemble fingers. The largest two, Seneca Lake and Cayuga Lake, contain the majority of the wineries, and are the most typical wine route for visitors to the region. That being said, there are several trails that encircle each of the lakes, as there are over 100 wineries in the area that prepare just about every kind of wine you can imagine, from dry reds to sweet whites. One of the specialties of the area is a hybrid grape called a Cayuga grape. Cayuga white is a popular choice and is a sweeter white wine. You will also find a variety of fruit wines including apple, blueberry, or peach wines. The vineyards themselves vary dramatically in size, atmosphere, and tasting options. Some have huge shops while others feel more like mom and pop stores. Some sell a variety of local foods or may pair their wines with sweet or savory food tastings. Other wineries may offer other alcoholic beverages besides wine such as an on site brewery like at Three Brothers Winery, or distilled drinks like Limoncello at Knapp Winery. If you do decide to travel among the many wineries in the area, a designated driver is pretty much required due to the significant distances between the wineries. You can easily be driving upwards of 50 miles a day from place to place. There are many options to hire a car or van for the day to drive groups to the wineries, making the area a popular destination in the summer for bachelorette parties, but don’t expect to find much of a nightlife in the area. Most places close pretty early, even on a busy 4th of July weekend. During the day however, the larger wineries are a popular spot for live music and events in the summer. Many of them offer decks overlooking the lake for you to sit and enjoy your glass outdoors. Because the lakes are a popular attraction anyway, the peak seasons are in the summer and early fall. The wineries are typically open year-round though, and you may find you get more personalized service at the tastings during the off season. Tastings are usually provided for a small fee (around $5) and there are no appointments needed as long as you arrive within their hours of operation; just drive around the lake until you see a winery you like and stop in. It may be helpful to do some research into which wineries provide the type of wines you are interested in. 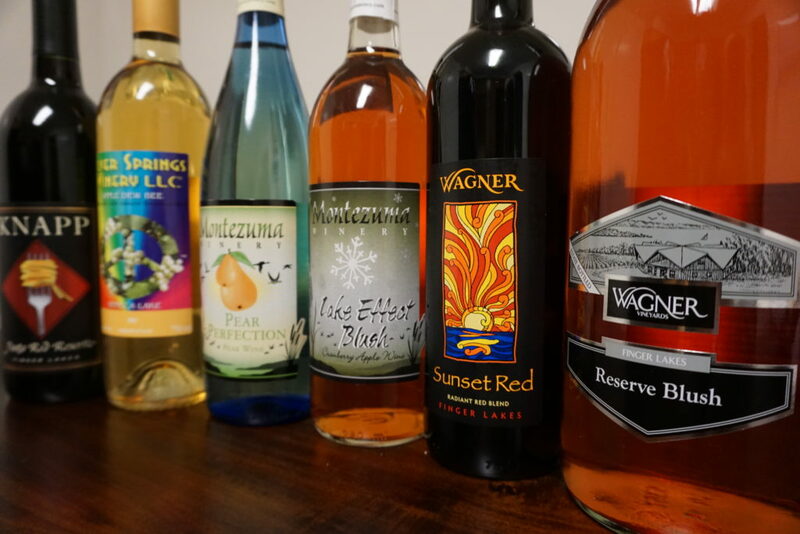 For example, Montezuma Winery towards the northern end of Cayuga Lake offers a variety of sweet fruit wines including a pear wine that was one of my favorites on the trip. With so many options, it pays to be choosy with where you stop. The Seneca Lake trail alone features 30+ wineries and you can find breweries along the route as well for those who prefer beer. In addition to visiting the wineries, many people will visit areas like Watkins Glen to go hiking or walk around Ithaca, NY, the home of Cornell University. Lake activities such as boating are also popular in the summer months, but without fail the top reason anyone visits the Finger Lakes Region (and rightfully so) are the award-winning wines. By: Danielle from Wanderlust While Working. Read more here and follow her on instagram here. While Mendoza in Argentina is world famous for it’s Malbec, but there are actually three wine regions in Mendoza. And out of these three, the Uco Valley stands out as home the most jaw-droppingly beautiful vineyards and highest quality wines. 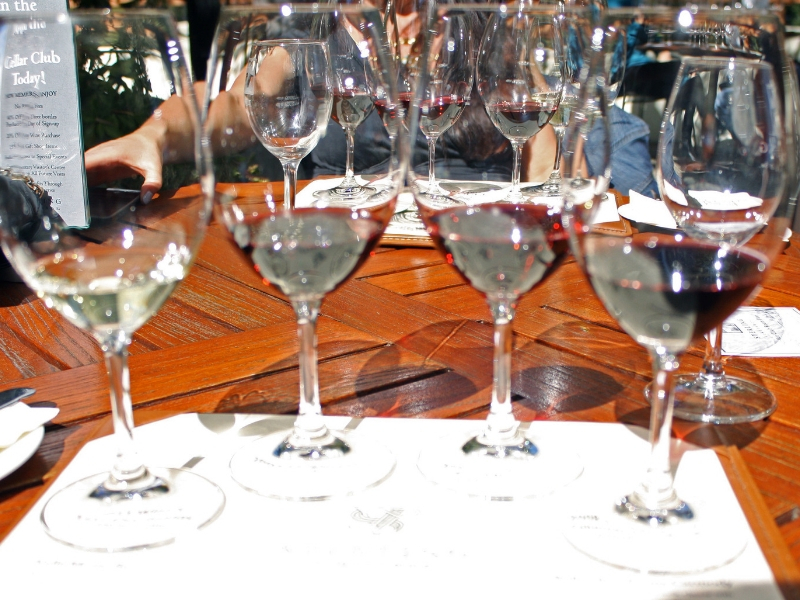 Most tourists base themselves in the city of Mendoza and take day trips to wine taste. I propose you go off this beaten track and base your stay in the heart of the Uco Valley, amongst the vines at the foot of the Andes. The winery resorts here are luxurious and there are options for everyone’s budget. One hour’s drive south from the city of Mendoza brings you to the Uco Valley. And I say drive specifically because you’ll need a car here. You can rent your own car (ideal if you’re planning on staying overnight) or hire a personal driver for a day trip here. This region is comprised of a few towns, Tunuyan, Tupungato, and San Carlos, with wineries spread between them. The distances between wineries here are large so biking isn’t an option, but the large distances are what makes the region so beautiful. You feel isolated in the best possible way when touring the Valle de Uco vineyards. Why are the wines that come from the Uco Valley considered the best of Argentina? All of the conditions here are perfectly situated to create great wine. There are over 250 sunny days a year here (more than one winery actually told us 330 days!) with a wide variance in temperature from day to night. This ideal sunny weather combined with the high altitude and fertile soil join together to create the perfect atmosphere for good Malbec (and Cabernet Sauvignon, Pinot Noir, and you get my point). Every winery here is worth a visit, but unfortunately, we have to make hard decisions in life sometimes, decisions like which three wineries to choose out of so many! In one day you’ll have time to visit three wineries, four if you’re very lucky. Tours begin at 10 am and it’s best to end with a long lunch at your last bodega. Choose your wineries based on your personal interests. Do you want to see boutique or large production? Are you interested in the architecture or only the production of the wine itself? Two great wineries to visit for the architecture are Salentein and O. Fournier. Their buildings were designed to blend in with the surrounding landscape and they’re very impressive. If you’re interested in organic wine, include a visit to Domain Bousquet. This French-owned winery was founded for this very purpose! The original owner (it’s currently run by his children) searched across the globe for the perfect conditions to be able to create wine this way. The dry climate here allowed him to do what he couldn’t in France: make incredible wines organically. SuperUco is a must visit for both. It’s beautiful architecturally and they make amazing organic wine. Regardless of what wineries you choose to tour, you’ll have a great experience no matter what. But the one lunch you MUST choose is Bodega la Azul. I can’t stress this enough, go to Bodega la Azul for lunch and you can thank me later. This is the only winery in the Uco Valley actually owned by Mendozans! It’s also the smallest winery here, but the real stand out is their restaurant. Enjoy their five-course lunch with wine pairings seated outside at the foot of the Andes. It’s paradise. If you’re staying here in the Uco Valley, end your day watching the sunset over the vines and the snow-capped peaks of the Andes. 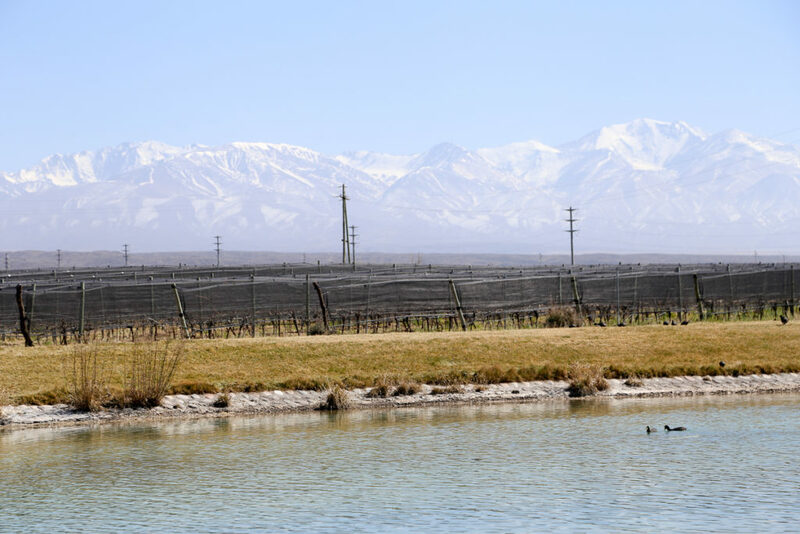 If you’re driving back to Mendoza, pile back into the car and watch the vines pass through the windows as you drive alongside the Andes foothills. By: Erin from Sol Salute. Read more about Mendoza here, and follow her on instagram here. Although Margaret River only represents 1% of Australia’s wine production, more than 15% of Australian premium wines are produced there. Margaret River is about quality, and wine lovers will agree to place it among the major wine regions of Australia. Bonus: it’s also along a stunning coast. With its maritime climate, Margaret River is primarily famous for its Cabernet Sauvignon blends and Chardonnay. It is sometimes compared to the well-known French Bordeaux. With more than 200 vineyards and 180 wineries in the region, you won’t get thirsty nor hungry. You may choose to drive from one cellar door to another, but booking a tour is a better idea if you plan to taste the wines. Be warned: there was not a wine or a restaurant that I didn’t like in Margaret River. When you pick up a map showing all the wineries in Margaret River, you quickly feel overwhelmed. It’s hard to make choices about which one to visit. Despite the number of wineries in the region, they all have their unique touch to provide a different experience that will seduce different people. Established in 1967, Vasse Felix is the region’s oldest vineyard and has an onsite museum to learn more about the early years of Margaret River wines. The Cullen Winery is famous for having a woman as a chief winemaker from one generation to another. Aravina Estate has a stunning garden and a vintage car collection. Howard Park will introduce you to feng shui architecture. Many Margaret River wineries are family wineries, like Leeuwin Estate. Flutes Restaurant at the Brookland Valley Estate has some of the best home-made charcuterie you’ll ever try. 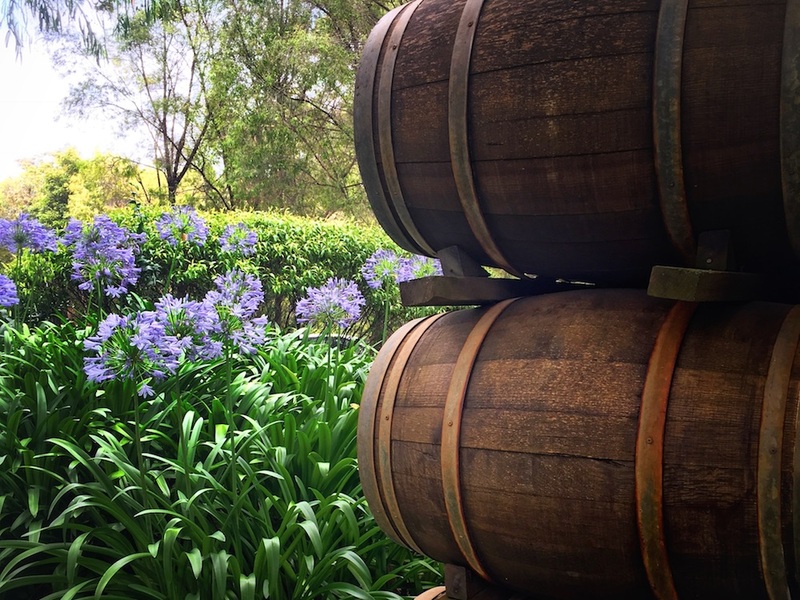 At Voyager Estate and Woodlands, the two names that I knew from the other side of the country, you can arrange wine tasting straight from the barrel. And this is just a selection of some of the most famous wineries. Maybe you will prefer to look for a gem and explore the less known vineyards. It takes three hours to drive from Perth to Margaret River, so it’s a perfect destination for an overnight trip. It also makes a nice stop for a couple of days – or more if you can! – while driving the popular road trip from Perth to Esperance. There is so much to see in Margaret River that you can even spend a full week there as your holiday destination. Between the wine tastings, you’ll find many activities along the coast from Cape Naturalist in the north to Cape Leeuwin the south, where the Indian Ocean and the Southern Ocean meet. Having such a variety of landscapes in one small region is rare in Australia. You won’t regret visiting Point Piquet, Sugarloaf Rock, Canal Rocks, or Hamelin Bay, to name a few. The Busselton Jetty will give you a fantastic introduction to the underwater world. You can also go underground and visit famous caves such as Mammot Cave and Lake Cave. By: Eloise from My Favourite Escapes. Read more here and find her on instagram here. Yes, Bolivia produces wines. You’ve never heard of Bolivian wines? Don’t worry, probably nobody outside of Bolivia did. The wine region of Bolivia is found on the south, close to the borders with Chile and Argentina. It is a beautiful green area with nice climate for most of the year and wineries spread over hills at an altitude of 2000 m. The capital of this region is Tarija, but most of the wineries can be found in Vale de la Concepcion, where also most of the wine tasting tours are taking place. 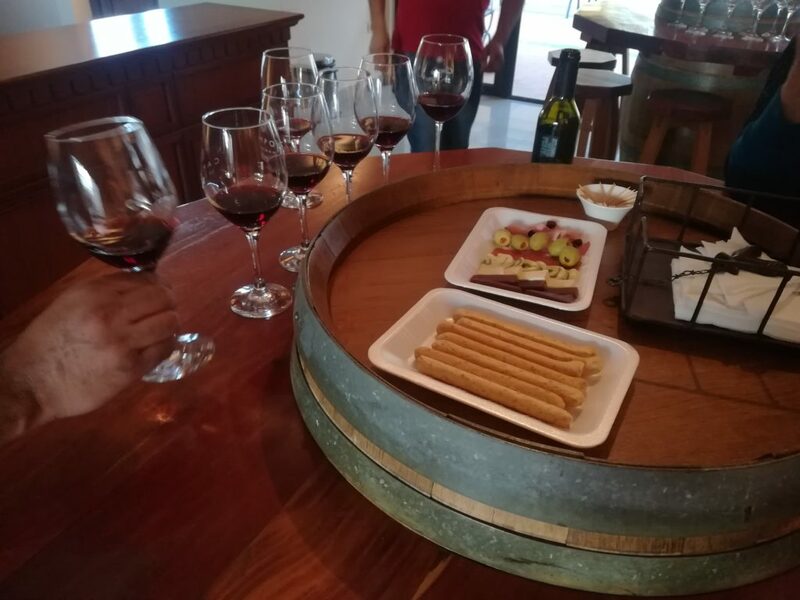 The best thing, and also the reason that you have never heard of Tarija is, that wine from this region is produced in small quantities, mostly for local consumption, and that makes it one of the cheapest in the world without taking a toll on its quality. So if you find yourself admiring the beauty of world known Salar de Uyuni, you should definitely reserve a few days for Tarija too. Only a few hours ride and you can relax by the pool with a good wine in your hand. The tour to Valle de la Concepcion can be done by car or taxi and in the proximity of the city, you can also find several bodegas as well as nice accommodation. But if you just want to relax and drink, there are some tour agencies offering wine tours. The price is around 20 €/person and usually include a visit to 2 industrial bodegas, 2 small artisanal bodegas in the Valle de Concepcion, and a studied sommelier, who will give you great information about Bolivian wines, wine tasting techniques, and the Valley itself. On our tour, we have visited big bodegas Kohlberg and Campos de Solana, small artisanal bodega Casa Vieja in Uriondo and artisanal wine shop on the way there. As we were based in Uriondo, we have also visited another small bodega Valle d’vino, which has a nice ambient, a small museum and a tunnel of love. Beside these bodegas, we also liked wine from Aranjuez and Terruno. For the cheapest bottle from the big brands, you can pay as little as 2 €, though it’s possible to enjoy some very good baric wine too (maturing 4 – 24 months) for as little as 8 – 15€ a bottle. Click here for more information about things you can do in Tarija. By: Tereza from Czick On The Road. Read more here and follow her on instagram here. The Willamette Valley is located along the Willamette River in Western Oregon. It encompasses a 150-mile long valley that includes the Portland area, south into Salem and Eugene. The valley is surrounded by mountains on 3 sides and has a cooler climate than its California wine neighbor to the south. Most commonly known as Oregon Wine Country, the Willamette Valley is home to world-class pinot noir. The area has become increasingly popular for pinot lovers as the growing conditions for this grape are ideal in the Mediterranean climate of the river valley and its’ proximity to the Pacific Ocean. Pinot Noir has become the main varietal sold here and most people traveling to the area visit to try the famous Oregon grown Pinot Noir. There are other varietals grown in Oregon as well. Other common wines produced in Oregon include Rose, Pinot Gris, and Chardonnay. There are over 700 vineyards located in the Willamette Valley and over 500 wineries. Many of the popular wine regions are located within a few miles of Portland. Among these are Yamhill, McMinnville, and Dundee counties. Oregon wine country can be explored within a few days (depending how many places one would like to visit in a day). The best way to get around is by car and many of the vineyards are spread out. By visiting some of the smaller towns in the area like Carlton, Newberg, and Chehalem, one could walk through the downtown area and stop in to taste local wines. For the best experience, however, I recommend visiting the vineyards themselves. Most of the farm vineyards offer wine tastings, tours and spectacular views of the mountains and valleys. Some of my favorites include Penner-Ash, Stoller, Chehalem, and Domaine Drouhin. The employees at these vineyards are not only very friendly, but they love talking about wine. This region is great for both the novice and expert wine drinker. Oregon provides more of a casual atmosphere than the upscale Napa Valley area. In addition, due to the abundance of farms, the local food scene is fantastic. Finding a great place to have a meal is quite easy when visiting the Willamette Valley. Overall, I would highly recommend a visit to this wine region. The Willamette Valley has become my favorite area to visit in the U.S. not only because I love pinot noir, but because of its’ natural beauty, fresh food and proximity to the mountains and ocean. By: Margie from DQ Family Travel. Ffollow her on instagram here. At the foot of the Blue Ridge Mountains in the United States, a tiny German village named Helen offers one of the best wine trails in the world. Despite housing just 430 residents, Helen consistently remains the third most visited city in the entire state of Georgia, and its popularity is attributed to its charming Bavarian architecture, quirky shops, and unique activities. One of the top places to visit–the Unicoi Wine Trail–winds its way through seven local wineries and their cozy tasting rooms. The tour begins at Habersham Vineyards and Winery on Main Street. It’s one of Georgia’s oldest and largest wineries and has been producing award winning bottles since 1983. From there, you’ll visit CeNita Vineyards, Kaya Vineyard, the Cottage Vineyard, and Serenity Cellars. The latter features an outdoor pizza oven and offers samples of Unicoi preserves along with its wine tastings. The unique fruit spreads have special flavors such as salted caramel peach and apple cider pepper. Of course, the best flavors you’ll sample belong to the wines, and Serenity specializes in Old World style vinos. Don’t leave without trying the hybrid grape Traminette dessert wine. It contains aromas of lychee, citrus, and roses while tasting subtly like apricots. 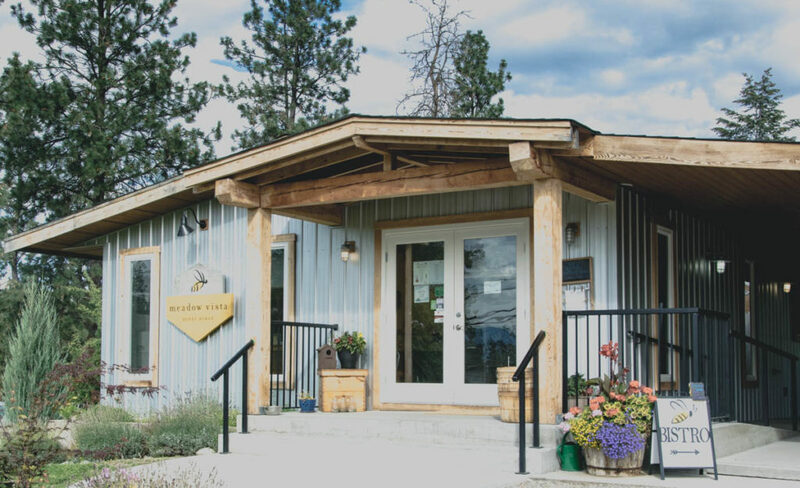 Our favorite stop brings you to Sylvan Valley Lodge and Cellars, where you’ll get the opportunity to sample their famous Frolicking Faerie wines while nibbling on cheese and charcuterie plates. If you choose to stay at the lodge, your visit includes breakfast as well as wine tasting. The trail comes to an end at the scenic Yonah Mountain–a popular hiking spot and the home of Yonah Mountain Vineyards. The family winery sits on two-hundred acres of rolling hills and has long been considered one of the most beautiful locations in North Georgia Wine Country. It also holds the only wine caves in Georgia and is the only East Coast winery with concrete barrels. During select days of the year, visitors to the Unicoi Wine Trail can purchase a Wine Passport that includes a souvenir glass and four to five tastings at each winery located along the route. It’s a great way to enjoy all stops on the trail for one low price. If you’re looking for a beautiful place to sample some of the most delicious wines in the world, definitely consider taking a trip to the Unicoi Wine Trail in Helen, Georgia. By: Jillian from Adventure Dragon. Read more about Georgia here. Texas isn’t the first place that comes to mind when you think of wine trails. Truthfully, I hadn’t even heard of Texas Hill Country until my friend from Houston suggested we visit. I arrived as a skeptic but left with a little bit of a crush on these respectfully rebellious wines and unassuming wineries. When visiting Texas Hill Country wine trail, throw away your preconceived notions of what a winery is supposed to be. In true Texas fashion, they’ve brought the fancy factor down a notch and induced a bit of the wild west, offering an unexpected take on familiar tastes. The wine trail extends along Highway 290 starting about one hour west of Austin and continuing beyond the town of Fredericksburg. It’s difficult to say which wineries are specifically part of the wine trail, because there are over fifty in the surrounding area. The quaint town of Fredericksburg is a great place to stay when visiting Texas Hill Country wine trail. It feels like you’ve been transported back in time as you wander along Main Street. For a more secluded option, try staying in the bed & breakfast at Messina Hof Winery & Resort. You really can’t go wrong, but here are a few standouts worth mentioning. With their backgrounds in horticulture and agriculture, the founders of William Chris believe that “great wines are not made but grown.” They put great care into creating an environment for only the best grapes to flourish, and it shows in every sip. In fact, they were featured in the 2018 Wine Enthusiast article on wine producers who are redefining American wine. The tasting room is located on a twenty acre historic farm property on Highway 290 with both indoor and outdoor space. Enjoy live music while you sip on the weekend. Keep your eyes peeled because you just may get to meet the maker! Donning a big metal belt buckle and jeans, a man behind the bar poured my tasting. It’s not something you see in “wine country”, but his laid back style worked in the space. His face lit up as he told me about their latest wines and the origin of the art on the bottles. Eventually I realized he was one of the founders. This type of humility in a wine tasting room was a welcome contradiction. A stark contrast in appearance to William Chris, is the modern 4.0 Cellars. The building is lined with windows, bringing the outside in. If you prefer to be outside, though, there’s plenty of rocking chairs and outdoor seating as well. Started as a collaboration between three different Texas wineries, their name represents the outstanding fourth winery that they created together and their commitment to provide only the best (4.0) customer service. The tasting room offers both whites and reds, plus you can try pairings with either Texas cheese or chocolate. In addition to 4.0 Cellars wines, you can also find wines from each of the three original wineries. Similar to William Chris, Hilmy Cellars operates on the belief that wine is made in the vineyard, paying special attention to minimizing the use of chemical fertilizers and pesticides. Once the grapes are perfect, they hand harvest them for processing. That’s a rarity in today’s wine processing world. Hilmy’s tasting room is intimate, but inviting. Expect a warm welcome when you come through the door, even if you’re not a wine aficionado (yet). They pride themselves in making medium to full bodied wines that pair well with food, especially Texas cuisine. Join the more than five million people that visit Texas Hill Country wine trail every year! To learn more about visiting, visit Texas Hill Country Wineries or Fredericksburg Wine Road 290. By: Susan from This Big Wild World. Read more here, and follow her on instagram here.